A documentary about Lil Peep is due to premiere at next weekend’s SXSW Film Festival in Texas. Entitled Everybody’s Everything, this 115-minute documentary is directed by Sebastian Jones (When the Sun Hits) and Ramez Silyan (Animal). Lil Peep, birth name Gustav Åhr, died in November 2017 from a drug overdose at the age of 21, mere months before the release of his album, Come Over When You’re Sober, Pt. 2. The story of Everybody’s Everything follows artist Lil Peep (Gustav Ahr) from his birth in Long Island and meteoric rise as a genre blending pop star and style icon, to his death. Watch the World Premiere in 24 Beats Per Second at #SXSW 2019. I’m so excited to see this.. you’re [Silyan] incredibly talented and I already know that you did good by Gus. Creating a unique mix of punk, emo and trap, Lil Peep was set to bring a new musical genre to the mainstream when he died of a drug overdose at just 21 years old. From the streets of Long Beach and Los Angeles to studios in London and sold out tours in Russia, the artist born Gustav Ahr touched countless lives through his words, his sound and his very being. 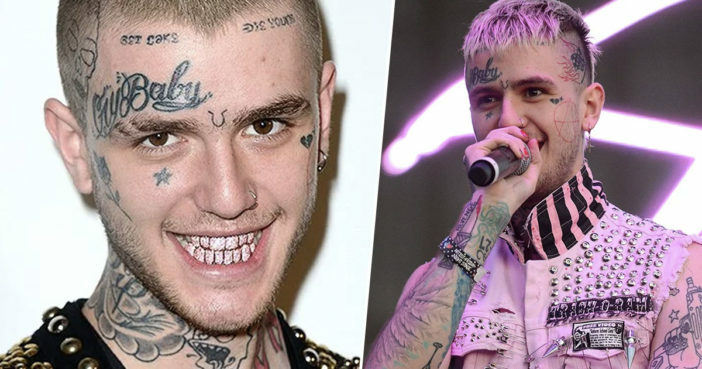 During a sweeping journey from the depths of the underground to a meteoric rise through the music industry, Gus wrestled with what it meant to be Lil Peep and in turn, what Lil Peep meant to so many. EVERYBODY’S EVERYTHING is an intimate, humanistic portrait that seeks to understand an artist who attempted to be all things to all people. Despite his young age, Lil Peep left a lasting legacy, with an iconic look and sound which resonated with many young people. Often referred to as a ‘trendsetter’ or a ‘taste maker’, Lil Peep was always one step ahead of the curve. He also wasn’t afraid to share his personal struggles with depression, using his music and connection with fans to raise awareness. During his tragically brief career, Lil Peep was praised for igniting an emo revival while artfully blending the genres of hip-hop and alternative rock. His loss is still deeply felt. The SXSW Film Festival takes place in Austin, Texas, from March 8-17. Everybody’s Everything will be screened on March 10, 12 and 14 at 8:15pm.